What are the primary objectives of Men-Tsee-Khang? When was Men-Tsee-Khang set up? Is the Men-Tsee-Khang a registered organization? What are the Men-Tsee-Khang's activities? 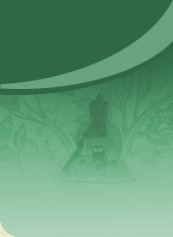 Which text is consider as highly representative of Tibetan medicine? What is Baidurya sngon po? How Precious pills are prepared? How can one help a child or a group of child? What publications do the Men-Tsee-Khang have? Do you have Centres in Western Countries? Do you offer short courses on Tibetan medicine and astrologer to foreigners? Do you offer courses on Tibetan medicine and astrologer to foreigners? How can i become a member of Men-Tsee-Khang? How can I subscribe to the Men-Tsee-Khang's newsletters? How can I contact the Men-Tsee-Khang? Some tibetan pills are very hard. How can one cut them up? Is there any side effect if one take the Tibetan medicines additionally to other medicine? How important it is to take the pills half an hour before or after the meals? What is the basic causes of all disease? How can I contact Residential doctor at Amsterdam? What is Tibetan Materia Medica? Can i take Precious pills additionally to other medicine? To promote and practise the Tibetan system of medicine, astronomy and astrology. To provide accessible health care to people regardless of caste, colour or creed. To provide free or concessional i.e. subsidised health care to the poor and needy, monks and nuns, all new arrivals from Tibet, and those over the age of Seventy. To produce Tibetan medicines in an environmentally sensitive manner. Men-Tsee-Khang (the Tibetan Medical and Astrological Institute) was established on March 23rd, 1961. Men-Tsee-Khang is a charitable, cultural and educational institution of H. H. the Dalai Lama, registered under the Societies Registration Act of 1860 (No. 1290/79) and u/s 12-A(a) of the Indian Income Tax Act 1961 (No. Judl/Reg. Cr/81-82/IST/35087/213). Its permanent Account Number for Income Tax is 28-510-A2-0011/ward-10-Palampur. The Men-Tsee-Khang activities include production and dispensing of tibetan traditional medicines; trained tibetan doctors and astrologers; published books on tibetan medicines and astrology. During the reign of Fifth Dalai Lama, the regent Sangye Gyatso wrote a commentary on the rGyud bzhi in four volumes known as Baidurya sngon po, called the Blue Sapphire. Who is Medicine Buddha? ? How Precious pills are prepared? ? According to Late Dr. Tenzin Choedrak, Senior Personal Physician to His Holiness the Dalai Lama, put into production a medicine called "Tso-thel" which is a purified and de-toxified mercury powder with a sulphur base. Tso-thel forms the basis for three important Precious pills. The details recipe is found in the Kalachakra Tantra taught by Sakyamuni Buddha and it involves a very complicated pharmaceutical process. No, we don't have any Centres in Western Countries. But we have only a residential doctor in Armsterdam, Gremst, and America. Do you offer courses on Tibetan medicine and astrology to foreigners? Yes. However, as all classes are taught in the Tibetan language, fluency in Tibetan is a pre-requisite. Do you offer short courses on Tibetan medicine and astrology to foreigners? No problem! However a temporal gap of one to two hours should be kept, so that the different medicines can take effect optimally. To achieve an optimal benefit, this instruction should be kept if possible. For example: if it is not possible to take the evening pill half an hour after the meal, then one could do this also directly before going to bed. According to Late Dr.Tenzin Choedrak , the five elements in the body relate to the five elements in the environment, and medicines are also composed of the four elements such as Earth, Water, Fire and Air. When the elements are not balanced disease occurs. no uncooked items of any kind such as grain, vegetables, fruits etc. no alcohol and sour beverages.